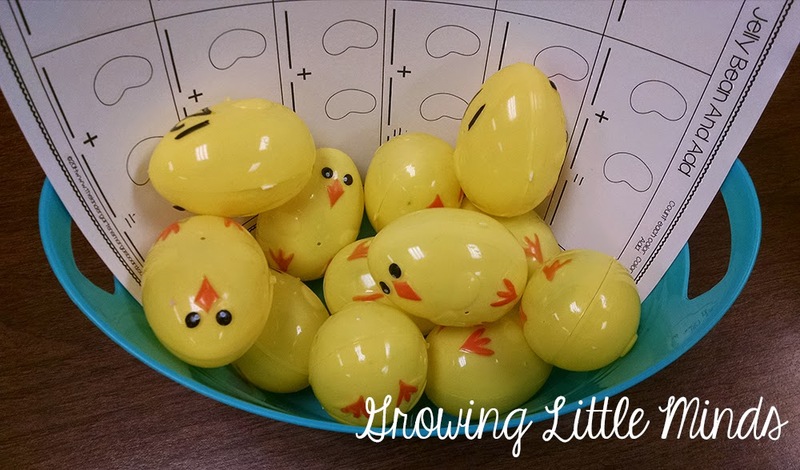 Growing Little Minds: Making Learning Fun with Easter Eggs- and FREEBIES! 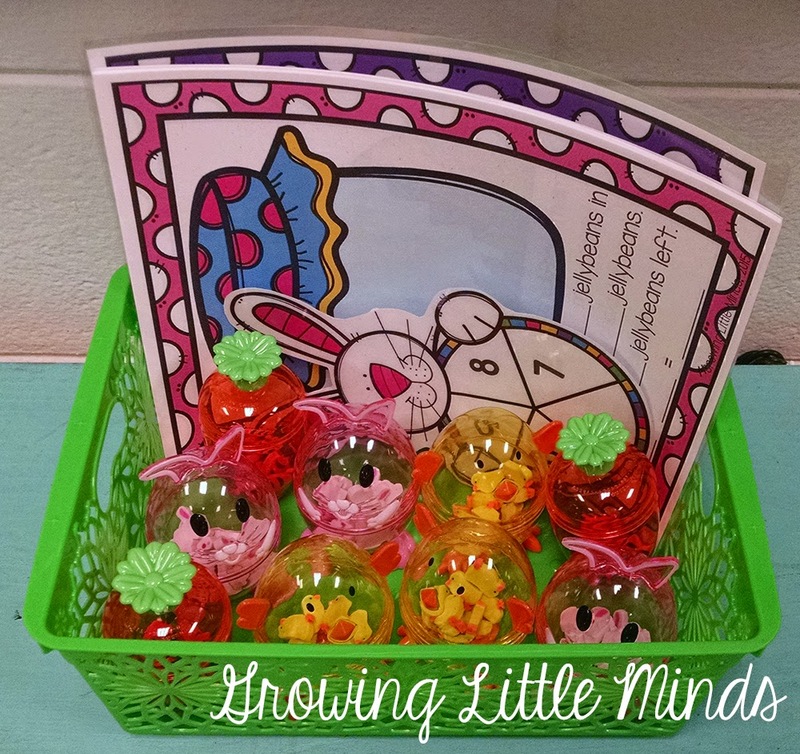 Making Learning Fun with Easter Eggs- and FREEBIES! Guess what?! 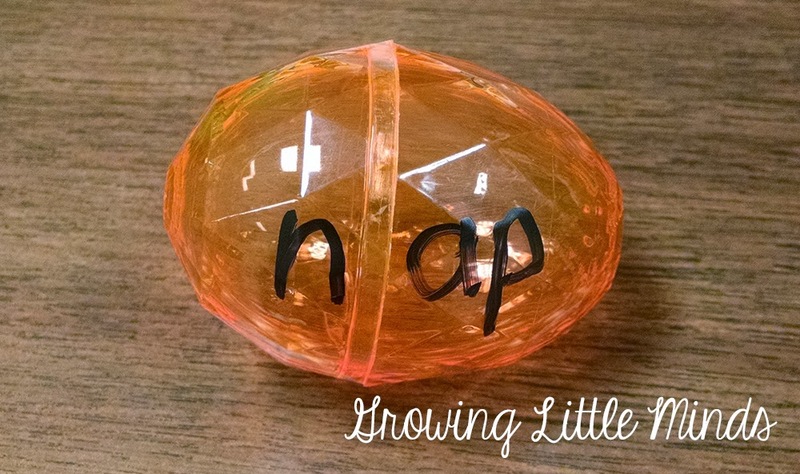 I'm BACK with more adorable Easter egg ideas for your week! Even if you don't get to these activities this week, you could do them next week as well. That is, if you aren't on Spring Break like me! I have so many ideas, I can't possibly do them all, but these are a few of the activities that we're doing this week. If you want some more ideas, I have another post here all about Easter eggs. In this post, I showed you how I was planning on adapting a game called "Hidden Partners" with Easter eggs. Well, I was working on some other stuff last night, when it hit me that I could use those adorable erasers I purchased instead. Voila! The kids loved it! 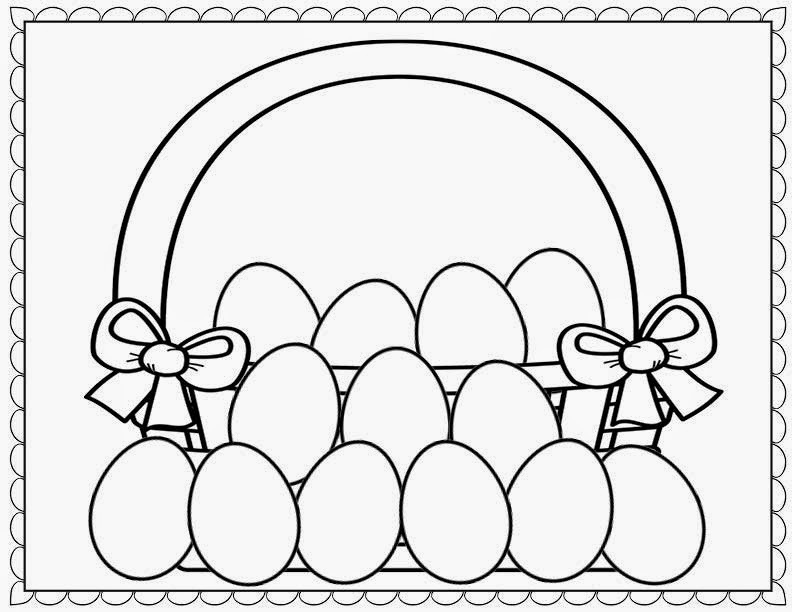 I love the way these adorable eggs look in the basket with the Number Story Mats. I'm not sure which one I love more, the basket or the eggs. :-) I know, I'm such a nerd, but OMG! You can find out more about the Number Story Mats here. I purchased some erasers at Target that I filled these with. I also adapted another one of my favorite games for Easter. This one is called "Spill and Add 10" or "Toss the Chips", depending on which math program you use. 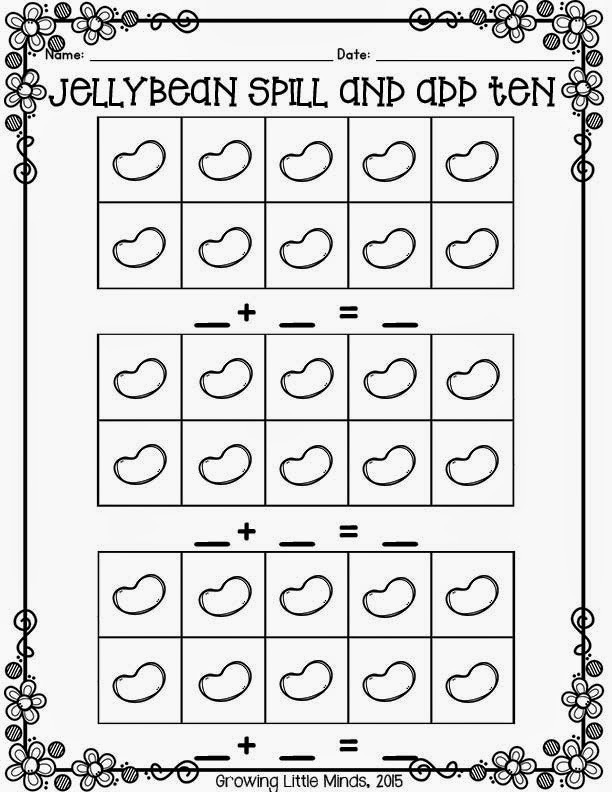 :-) Usually, I use 2-color counters for this game, but I used a few of the lima beans I had to make 2-sided "jellybeans" to use. The kids loved them. 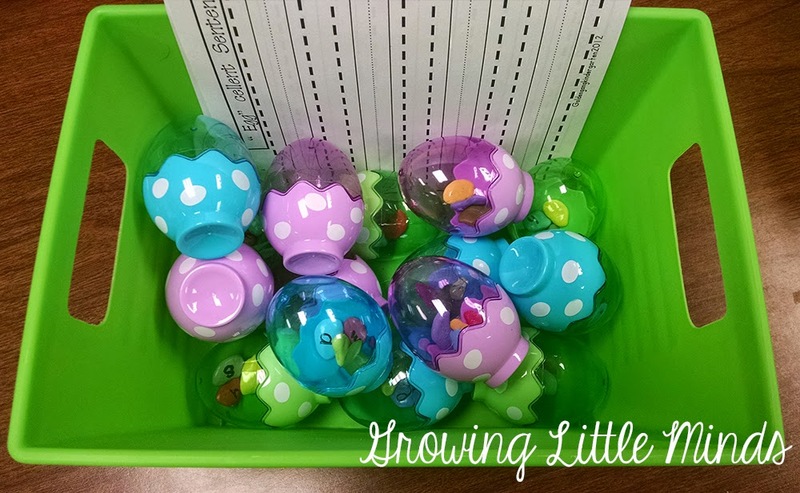 You don't have to use 10 counters- you can use whichever number you want! First, you place all 10 counters in the egg and shake it up. Then you spill the counters on the table. 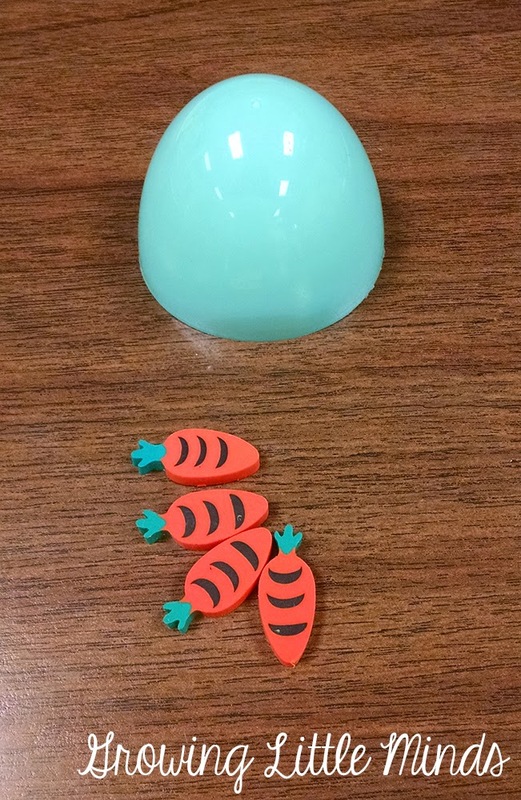 Sort the counters into groups based on which side is up when they landed on the table. For some kids, this is enough for them to be able to record. 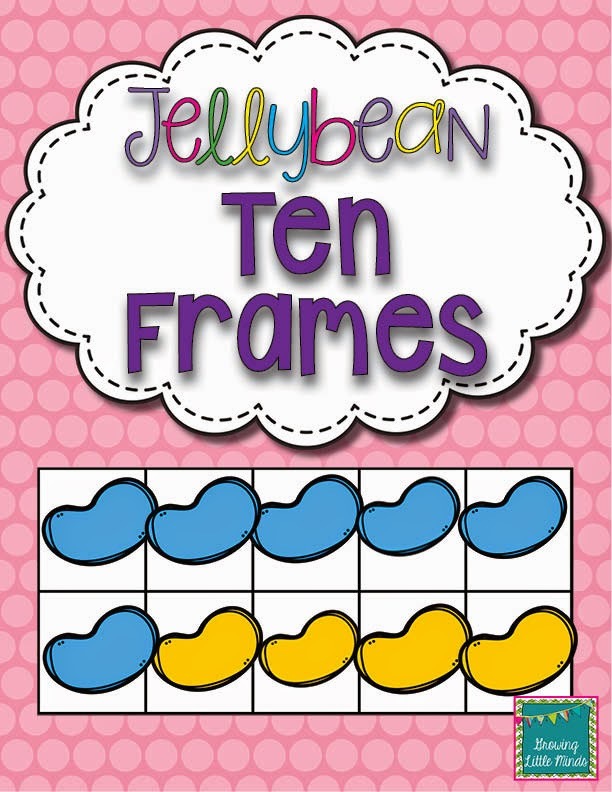 But for some students, I give them a ten frame to place their counters on. 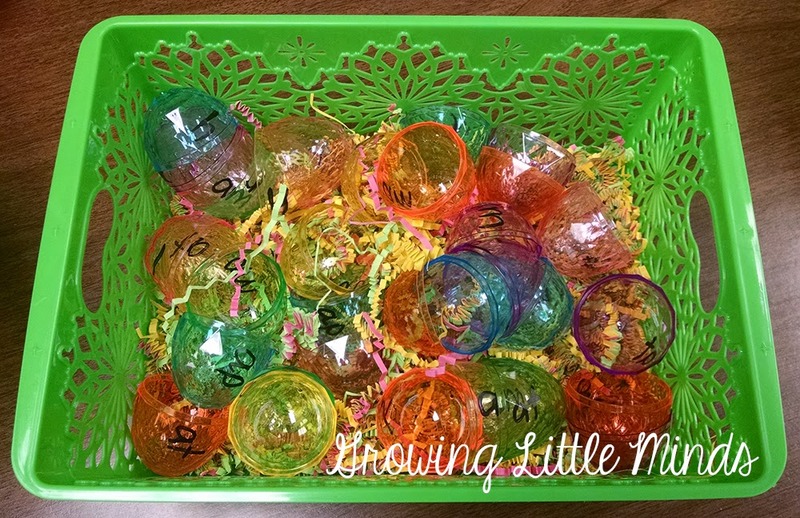 This helps them keep track of how many counters they have, and it also helps them see how to make 10. Then, they can record the ten frame and the equation on a recording sheet. Guess what? This is a freebie! I couldn't pass up these adorable chick Easter eggs too. We are using this with a freebie recording sheet from Mr. Smedley. This game is very simple. 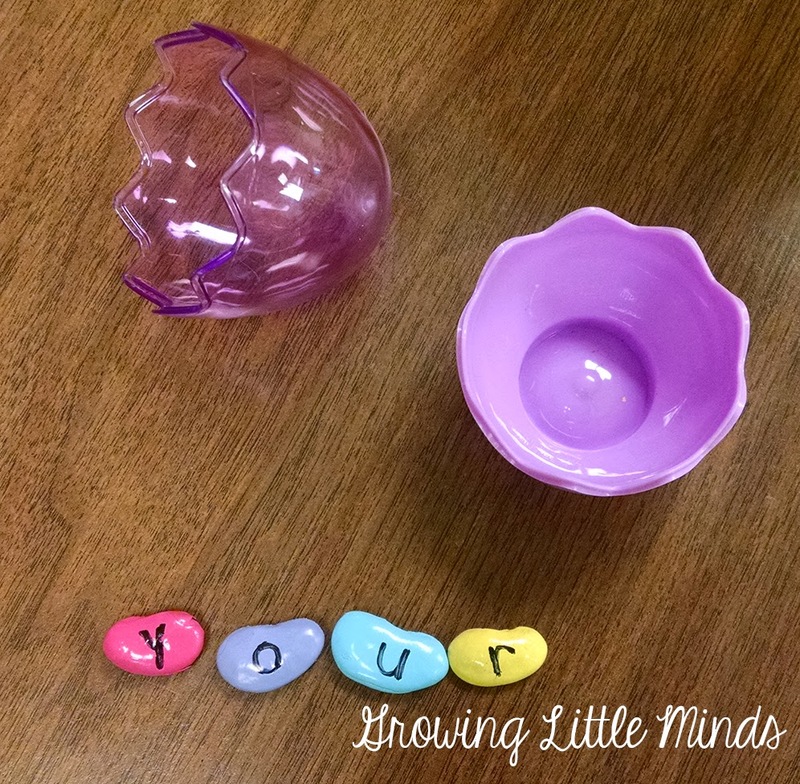 Fill the egg with jellybeans, or in my case, "jellybeans" because I don't like sticky messes! The students sort the jellybeans by color, and then record on the recording sheet. I love how it makes them color in the jellybean colors on the recording sheet. When the kids put the parts together, they built a word. These Easter eggs are so pretty, but man, they were super hard to get a good picture of! Tip: I used a Professional Sharpie to write on these eggs. I've written on Easter eggs in the past, just to have the writing be smudged off. I got my Professional Sharpie at Home Depot. I'll keep you posted on how well it works. So far, so good! 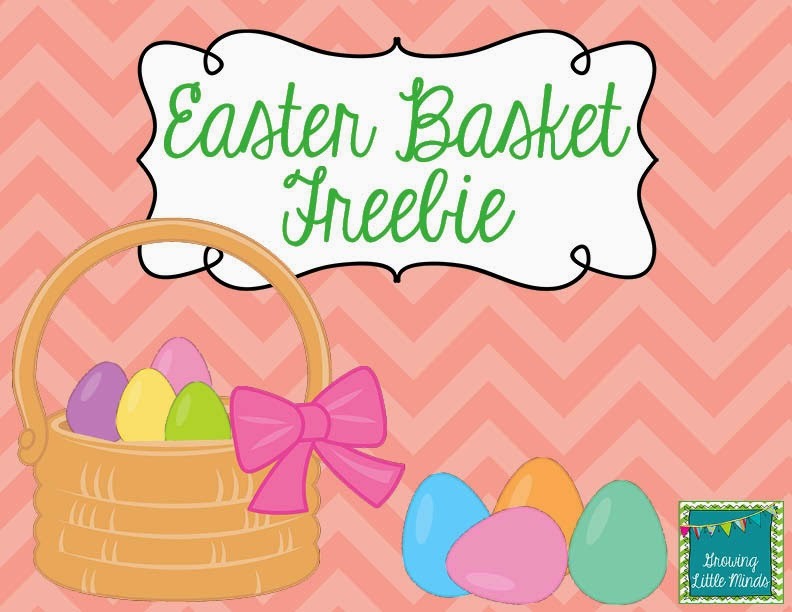 They wrote their words on an Easter basket recording sheet. You can download this as a freebie. For our word work center, the kids practiced making word wall words and writing those words in a sentence. 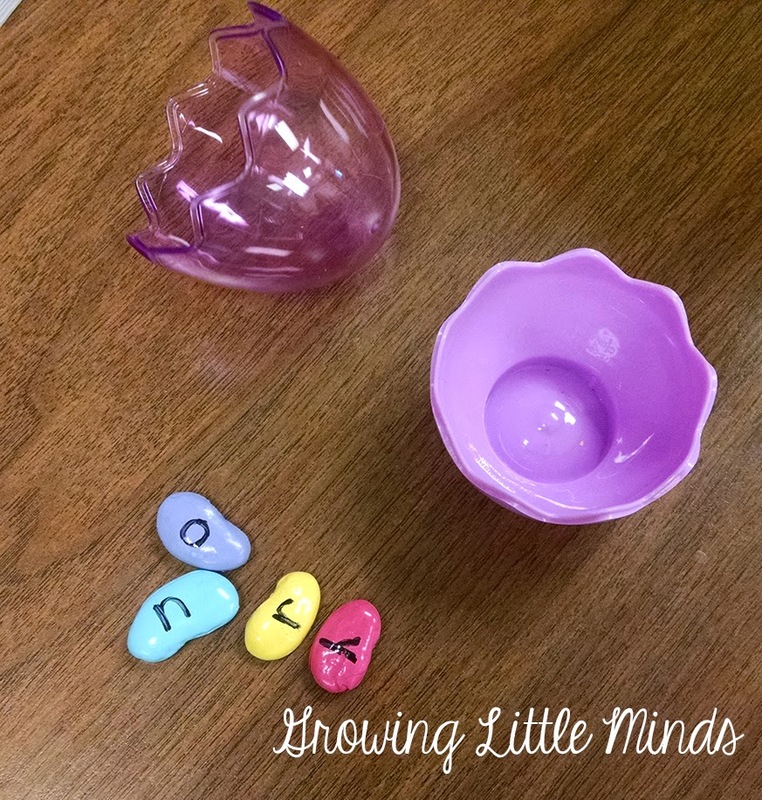 Inside each egg were the letters written on a "jellybean". 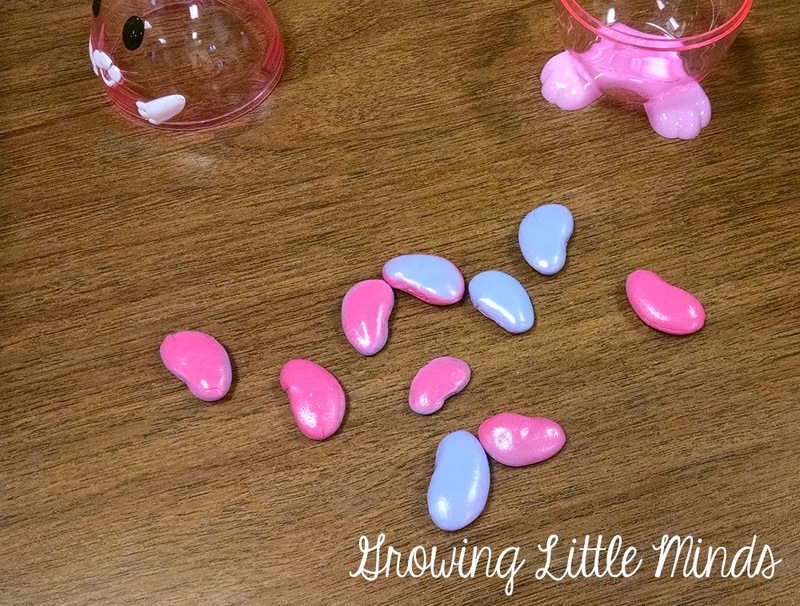 Instead of purchasing sticky jellybeans, I bought some lima beans and spray painted them. 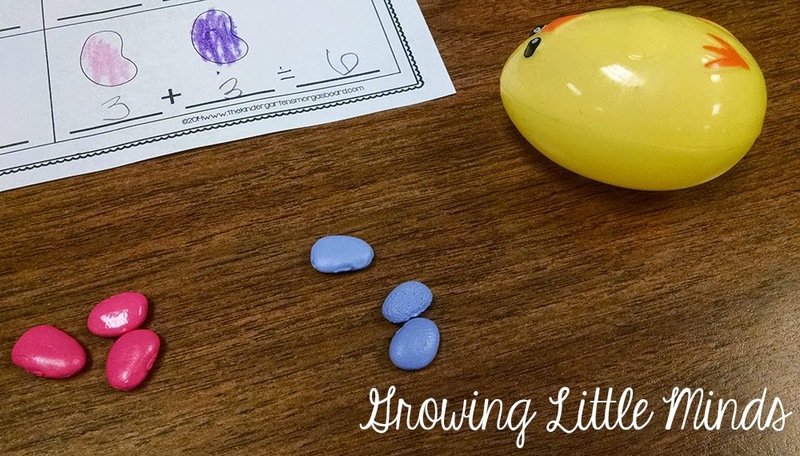 Then I wrote a letter on each "jellybean" and placed them in the egg. 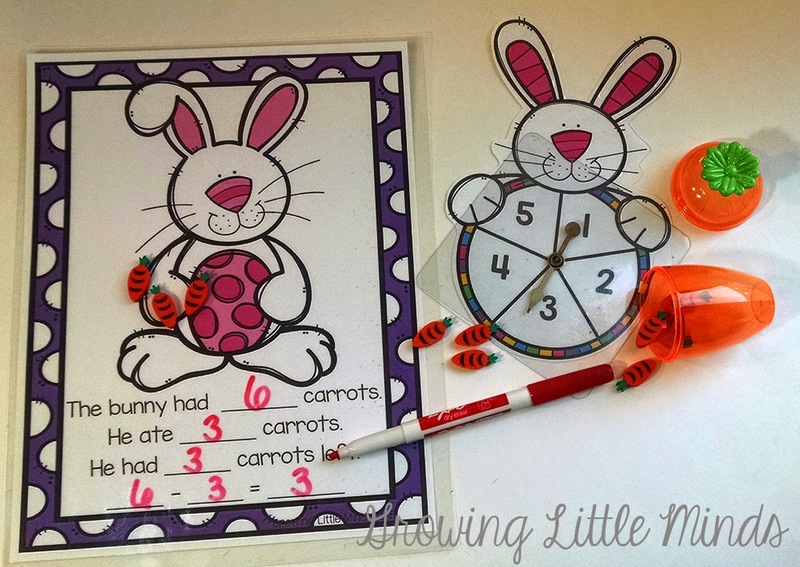 You could use letter tiles or magnetic letters or even letters typed up on a piece of paper. The kids put the "jellybeans" in order to make the word. Then they wrote it in a sentence. 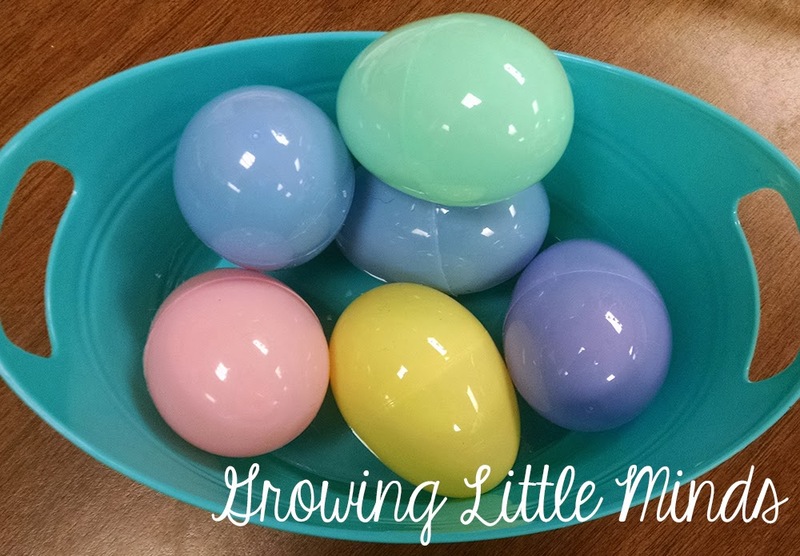 If you are looking for a few more great ideas, I have another post with a few more Easter/Easter egg ideas here that you can check out. There are a few FREEBIES there as well! I love how everything is perfectly laid out and organized on your blog! Beatiful work! 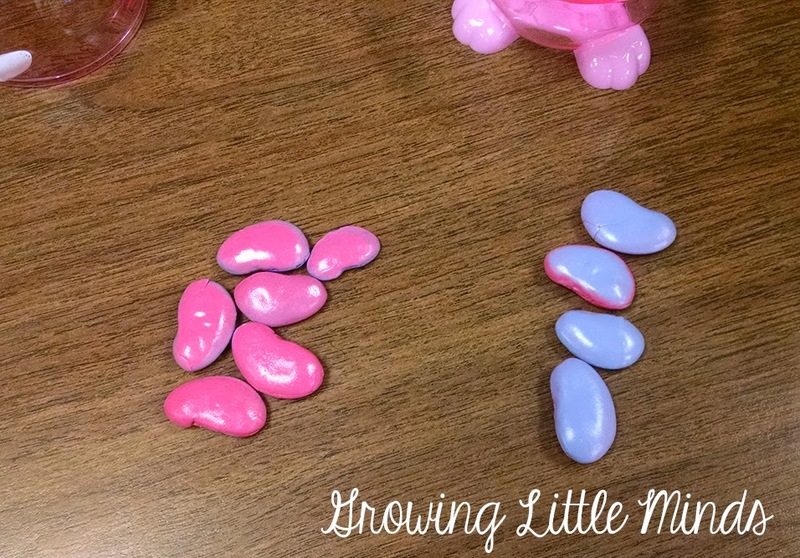 I have a question about the lima beans you used as "jelly" beans. Did you paint them with spray paint? I love them! I love the different colored jellybeans! Such a great idea! Thanks for sharing. This may need to be summer project so I can use it next year! A Peek at my Week! Plus- FREEBIES!